One feature you could say the previous-generation Volkswagen Tiguan lacked was interior space. While the Tiguan has always been fun to drive and is remarkably dynamic, its cargo capacity and interior volume fall behind larger compact SUVs in its segment. With the 2018 Volkswagen Tiguan, Volkswagen has addressed the problem while preserving the performance and dynamic handling that made the previous model so appealing. Although Europe will be offered two options for the 2018 Volkswagen Tiguan, North America will only be getting the extended wheelbase model. Thanks to a wheelbase that is 272 mm longer than the outgoing model, there’s a lot more interior space for passengers and cargo in the 2018 Tiguan. In fact, it is now possible to opt for a third row of seats. This means there’s enough interior space to transport up to seven passengers! The new Tiguan is one of the few vehicles in its segment to include this option. Regardless of whether you need the extra seats or not, it’s certain that the new Tiguan is one of the most spacious and versatile vehicles in its class. It is also very safe thanks to a wide range of driver assistance features, which include blind spot monitoring, adaptive cruise control, forward collision alert and emergency braking with pedestrian detection, and lane departure warning. As for connectivity and convenience features, the Tiguan is available with Apple CarPlay and Android Auto, a heated steering wheel, panoramic sunroof, power tailgate, and much more. The 2018 Volkswagen Tiguan is powered by a single engine that provides all the power you could ever need, with improved fuel economy to boot. The 2.0-litre, four-cylinder engine delivers 184 horsepower and 221 pound-feet of torque, and it can send power to the front wheels or to all four wheels through an 8-speed automatic transmission. There is a lot to love about the 2018 Volkswagen Tiguan. 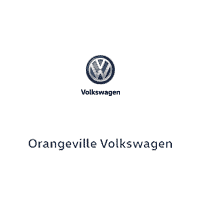 To learn more, contact us today at Orangeville Volkswagen!